It seems the commercial space industry in the U.S. is suddenly ablaze with activity. SpaceX has just announced a $492 million deal with Iridium to launch numerous satellites into orbit, and it’s all thanks to the Falcon 9 rocket success. Iridium is the owner-operator of what it calls “the only truly global satellite communications” system for the public. It’s the tech behind those satellite phones that news reporters sometimes use in particularly far-flung parts of the world. 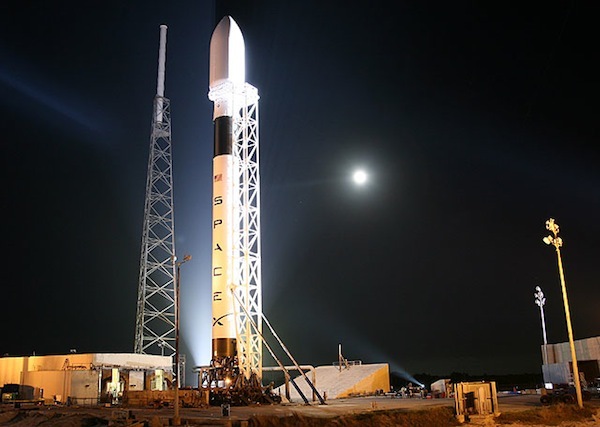 The company is busily setting up its next generation system, Iridium Next, which will rely on 72 800-kilo satellites flying around the globe in orbits at 780 kilometers. It’s these satellites that SpaceX has just been chosen to loft into space, with several units riding in the nose cone of a Falcon 9 at once, in multiple launches between 2015 and 2017. We don’t know how many satellites SpaceX has been contracted to fly. But because of the flawless Falcon 9 launch, SpaceX is even trying to drop one of the required three launches required by NASA before being eligible to transport cargo (and, eventually, people) to the International Space Station. Iridium seems confident that Elon Musk’s space business can turn the Falcon 9 into a reliable ride to space, and was also likely attracted by the price tag. Falcon 9 is almost certainly cheaper per kilo than its older, bigger-business competition.